U.S. economic indicators are depicting a broad range of readings. 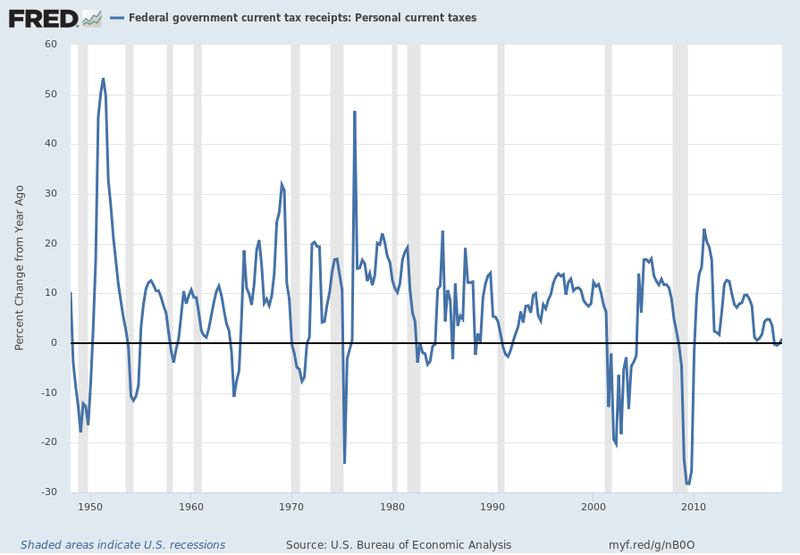 Many economic measures are depicting or implying weak growth or outright contraction. 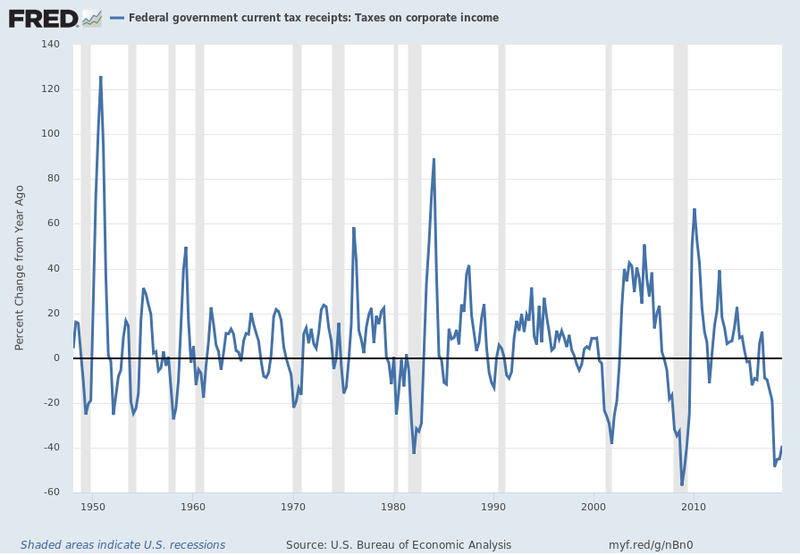 Numerous highly worrisome economic trends persist. 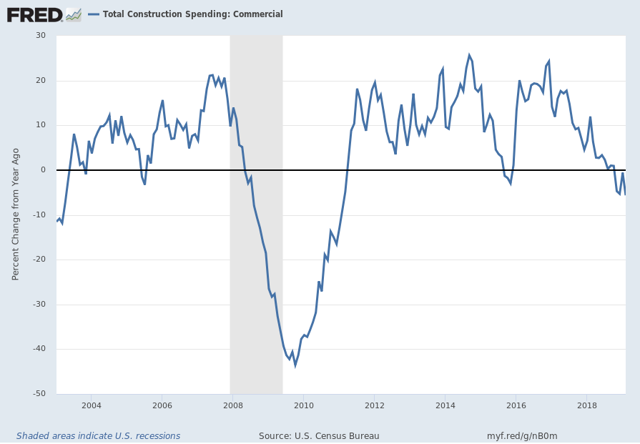 Please note: This is the latest in a series of articles, the last being "Charts Implying Economic Weakness - March 2019." Throughout this site, there are many discussions of economic indicators. At this time, the readings of various indicators are especially notable. This post is the latest in a series of posts indicating U.S. economic weakness or a notably low growth rate. 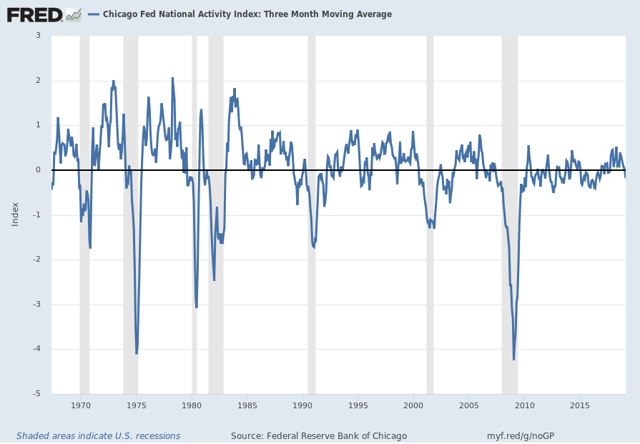 While many U.S. economic indicators - including GDP - are indicating economic growth, others depict (or imply) various degrees of weak growth or economic contraction. As seen in the April 2019 Wall Street Journal Economic Forecast Survey, the consensus (average estimate) among various economists is for 3.0% GDP growth in 2018 and 2.1% GDP growth in 2019. However, there are other broad-based economic indicators that seem to imply a weaker growth rate. As well, it should be remembered that GDP figures can be (substantially) revised. 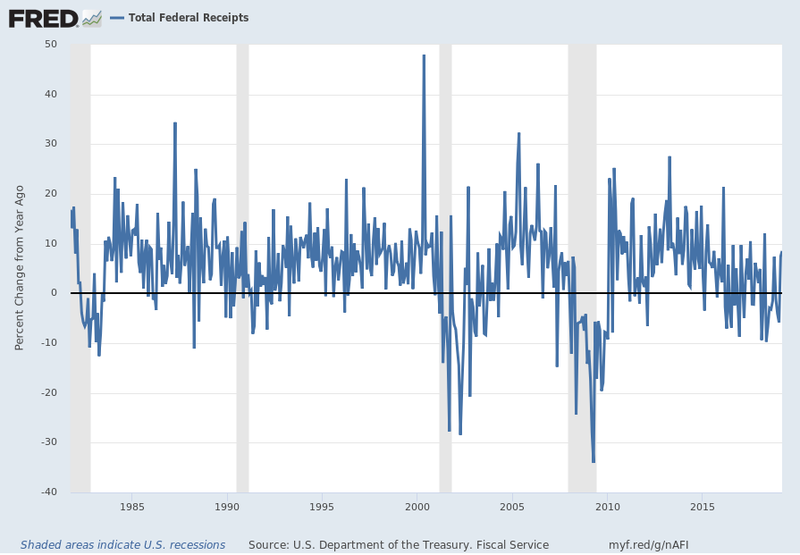 "Total Federal Receipts" growth continues to be intermittent in nature since 2015. As well, the level of growth does not seem congruent to the (recent) levels of economic growth as seen in aggregate measures such as Real GDP. 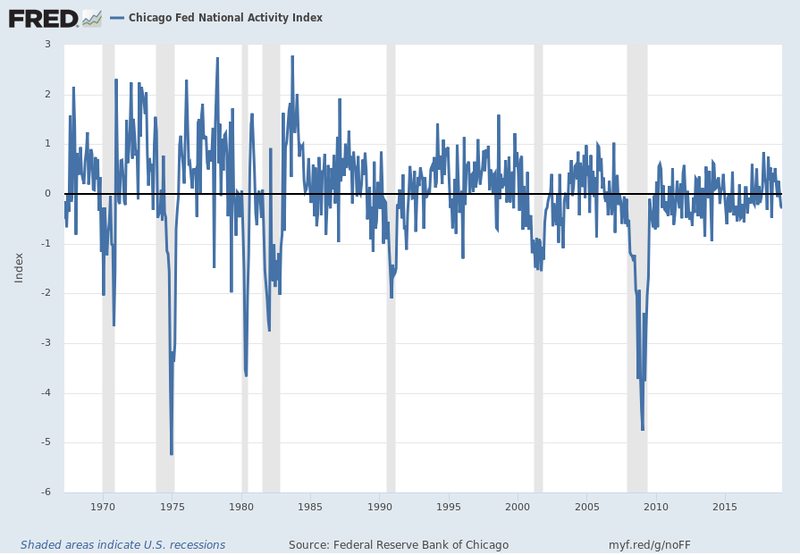 A broad-based economic indicator that has been implying weaker growth or mild contraction is the Chicago Fed National Activity Index (CFNAI). 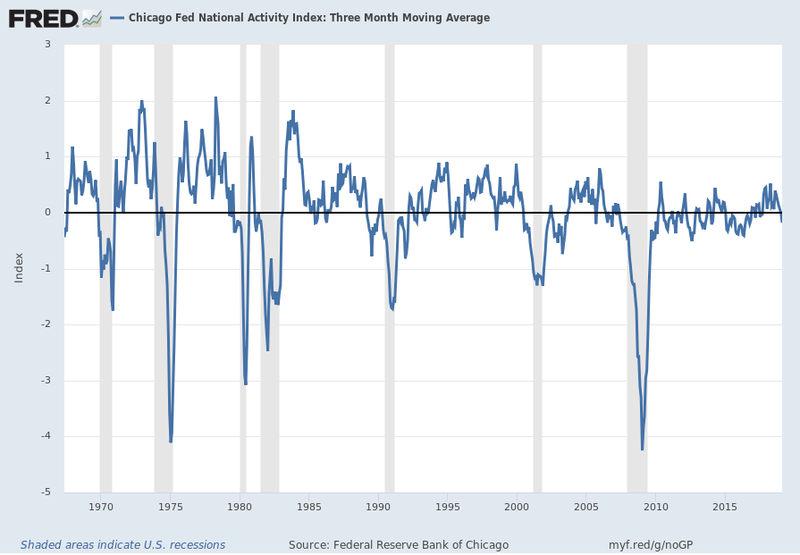 As mentioned previously, many other indicators discussed on this site indicate economic weakness or economic contraction, if not outright (gravely) problematical economic conditions. The Special Note summarizes my overall thoughts about our economic situation. SPX at 2,888.32 as this post is written.